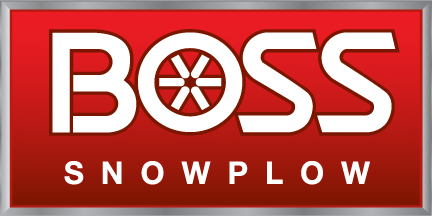 BOSS Snowplow is proud to announce its newest product- the BOSS EXT. After years of designing, testing, and building, the EXT is here! 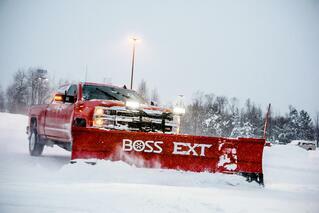 With expanding fixed forward wings, the BOSS EXT is built to efficiently plow through the toughest winter storm. BOSS engineer Will Whipple accepted the challenge to design the BOSS EXT. How long have you been an engineer at BOSS Snowplow? I’ve been an engineer at BOSS for the past five years. What other products have you worked on while at BOSS? I was very involved with the BOSS line up of box plows. What were some important features to include when making the BOSS EXT? The simple trusted design of a BOSS plow was something I wanted to bring to the EXT and expandable plow game. The hydraulic expanding wings and best in class full trip design make this plow a must have tool for snow and ice removal. What was the most difficult part of designing the EXT? When designing a tough plow, weight is always a challenge. I worked hard to keep the weight of the model low. The BOSS EXT weighs 970 lbs. making it lighter than some expandable plows on the market. What will EXT users enjoy most about the product? The EXT has been proven to carry large amounts of snow making it much more efficient for plowing. The increased efficiency gives snow plow drivers more time to spend with family and more time to take on additional contracts. Outside of work, what are some of your hobbies? Snowmobiling and machining. What information should the BOSS family know about products designed by BOSS engineers? What I appreciate most about being an engineer at BOSS Snowplow is the close connection we have with customers. Every day engineers remain close to our customers by taking overflow calls from our technical service department. That close connection doesn’t end there. Each engineer is on a rotating schedule to plow the BOSS Snowplow parking lot at 3 a.m. after a snow storm. By doing so, we can better understand what our customers go through and how our designs can support their needs. BOSS Snowplow is proud of engineers like Will, who work hard every day to bring you high quality, innovative products to complete your snow and ice removal arsenal. To see images of the EXT, click here.